Question: Lyman Wight is mentioned in three sections of the Doctrine and Covenants. Was Lyman Wight in Liberty Jail with the Prophet Joseph and his brother Hyrum? Answer: Lyman Wight was born 9 May 1796 in New York. He enlisted in the military during the War of 1812. He moved to Ohio about 1826, and by 1829 had joined the Campelite-based group on the Isaac Morley farm. Like others in this group, he discarded these teachings in favor of the truths preached by the missionaries from The Church of Jesus Christ of Latter-day Saints. He was baptized by Oliver Cowdery on November 14, 1830. At the fourth general conference of the Church, he was ordained by the Prophet Joseph Smith to the office of high priest, the first man so designated in this dispensation. A few days later he was called to serve a mission to Missouri. He then went to Cincinnati, Ohio, where he was so powerful in his discourses that a hundred people were baptized. Lyman then moved to Jackson County, Missouri, until the mobs forced him to flee to Clay County. He later wrote: “I was chased by one of these gangs [mobs] across an open prairie five mile ... and lay three weeks in the woods, and was three days and three nights without food. In the mean time, my wife and three small children, in a skiff passed down Big Blue river a distance of fourteen miles and crossed over the Missouri river, and there borrowed a rag carpet of one of her friends and made a tent of the same, which was the only shield from the inclemency of the weather during the three weeks of my expulsion from home.... Here on the bank of the Missouri river were eight families, exiled from plenteous homes, without one particle of provisions, or any other means under the heavens to get any only by hunting in the forest. I here built a camp twelve feet square, against a sycamore log, in which my wife bore me a fine son on the 27th of December.... I saw one hundred and ninety women and children driven thirty miles across the prairie, with three decrepit men only in their company, in the month of Nov., the ground thinly crusted with sleet, and I could easily follow on their trail by the blood that flowed from their lacerated feet!! on the stubble of the burnt prairie” (Times and Seasons 4: 263–264). On November 13, 1833, the Saints camped along the Missouri River witnessed a meteorite shower---the Leonid meteor shower---a glorious display of heavenly lights which they interpreted as a sign from heaven that God was with them. He volunteered to go and inform the Prophet in Kirtland of the suffering of the Missouri Saints, although he had only three days’ provisions for the journey. The answer was to raise a potential military force, Zion’s Camp, to march from Kirtland to Missouri. Lyman journeyed to Pennsylvania, New York, Indiana, Illinois, and Michigan mustering volunteers for Zion’s Camp. He marched as second only to Joseph Smith in the camp, walking from Michigan to Clay County, Missouri, without stockings on his feet. He moved to Northwestern Missouri and opened a ferry across the Grand River. Joseph visited and named the village Adam-ondi-Ahman and a small town was built. On June 28, 1838, Lyman was appointed second counselor to John Smith, president of the Adam-ondi-Ahman Stake. Four months later he was a captive of the mob militia and was charged with treason and murder. Missourian General Wilson offered to spare his life if he would denounce Joseph Smith. Lyman defiantly replied, “Joseph Smith is not an enemy to mankind, he is not your enemy, and is as good a friend as you have got. Had it not been for him, you would have been in hell long ago, for I should have sent you there by cutting your throat, and no man but Joseph Smith could have prevented me, and you may thank him for your life.” Wilson responded, “Wight...if you will not accept my proposal, you will be shot tomorrow morning at 8.” Lyman said, “Shoot and be damned.” Lyman’s life was spared, but he was chained to the Prophet in the squalor of Richmond Jail and then confined with him in inhumane conditions in Liberty Jail for four months. In October 1839, Lyman served as a counselor to John Smith in the Zarahemla Stake presidency. On April 8, 1841, Lyman was ordained to the apostleship. His first assignment was strengthening the Saints in the East and collecting funds for building the Nauvoo Temple and the Nauvoo House. He successfully fulfilled these assignments and in the process baptized about two hundred individuals in Kirtland and brought many of them to Nauvoo. From Nauvoo he journeyed up the Mississippi River to Black River, Wisconsin, in February 1844, to help supervise the cutting of timber in the pineries for the temple and the Nauvoo House. Lyman was a trustee of the Nauvoo House Association. After the martyrdom of Joseph Smith, Lyman claimed that the Prophet Joseph had called him to establish a mission in Texas among the Lamanites. Lyman could not bring himself to follow Brigham Young. He took about 150 Saints with him to Texas and founding the colony of Zodiac, Texas. After being flooded out, they moved a few miles and established Mormon Mill. Lyman resided in Texas for the remainder of his life. He joined with William Smith for a time, but by 1851 his religious leanings had turned to thoughts of Joseph Smith III taking his father’s place. He and his followers were on their way to Jackson County, Missouri, when he died suddenly on March 31, 1858, having been sick only five hours. Many of Lyman’s early followers joined the RLDS (Now Community of Christ) Church. 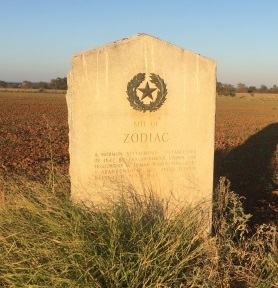 He is buried in Zodiac Cemetery, which no longer exists.